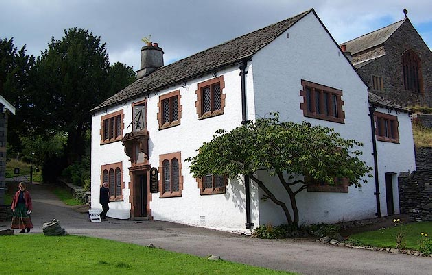 The school was built in 1675. Freeman probably rebuilt the entrance in 1888 and installed wood panelling and new windows in 1891. There are rainwater heads dated 1891. 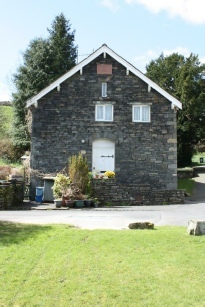 He may also have designed the school gymnasium, now a pair of cottages, opposite the school. Left: The gymnasium of 1885, possibly by Freeman.